Bionic men and women and cyborgs, blending biology and technology, have been familiar action characters in novels, television, and the movies since the 1970s. The term bionic was coined in 1958 by Jack Steele, a US Air Force physician, and has been variously described as referring to “like life” or a contraction of biology plus electronics. Two years later, Manfred Clynes, a scientist-investor, and Nathan Kline, a clinical psychopharmacology pioneer, introduced cyborg (“cybernetic organism”), an enhanced human who could survive in extraterrestrial environments. Cyborgwas the title of Martin Caidin’s 1972 novel, which served as the inspiration for the television series The Six Million Dollar Man (1974–1978) and the spin-off The Bionic Woman (1976–1978). The most famous cyborg is the Terminator, in a multipart movie series of the same name. A cyborg is typically an organism that has been modified to possess greatly enhanced mental and physical human capabilities; the designations bionic and cyborg are commonly used interchangeably. Bionics has different meanings when used in technology and in biomedicine. In the real world of science and technology, bionics (also called biomimicry, biomimetics) refers to the application of biological methods and systems found in nature to the design of engineering systems—that is, adapting the use of a function rather than attempting to imitate its structure. Products developed using this approach include: Velcro (1948), based on how the hooks and loops of burrs of burdock attach to clothing and animal fur; fabrics and paints that repel dirt and water based on the surface of a lotus flower leaf—the “lotus effect” (1990s); and sonar and ultrasound imaging, which simulate the function echolocation by bats. In a biomedical context, the focus of bionics is on the replacement of organs or a body part with a mechanical or synthetic version that functions like the missing or defective human part. (By contrast, a prosthesis replaces a body part but cannot function independently.) Cochlear implants have been used with success to aid the profoundly deaf since the 1970s, and a fully functional artificial heart has been available since 2004. Research is underway to develop bionic hands and limbs. 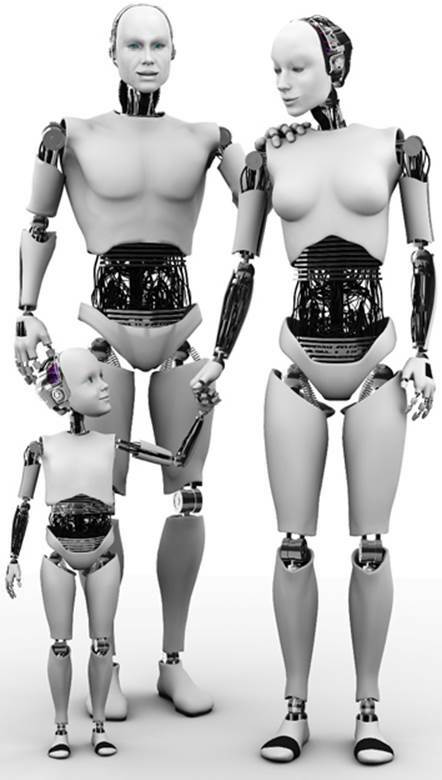 Will the nuclear family of the future be redefined to include bionic parents and their children?